Now that the winter is starting to settle in, we think it’s important to start planning ahead for the sunshine and natural light. Besides, skylights are perfect for stargazing on clear winter nights too! At Premier Roof Systems, we are passionate about getting as much natural light into your home as possible with a stylish solution that enhances your living space. In this blog post, we will give you some simple advice on how to fit a velux window to a tiled roof, and talk through some of the other ways you can introduce more natural light into your house. We will also look at the installation of Skypod skylights and roof lanterns. Some solutions are more extensive and require a more involved install than others, but with the help of an experienced installer, the procedure is totally stress-free and doesn’t take long at all. Pitched roof windows are standard solutions for letting natural light in through a tiled roof. Velux have set the standard for a long time, but there are several other brands and systems that have the same effect on the rooms in which they are fitted. The principles of a good installation remain the same for all types of this particular roof window. Natural light makes a room feel fresh, open and spacious — this is especially important in spaces that might otherwise feel a little bit cramped. Fitting a roof window is a great way to get more light into a room with a ceiling that follows the contours of a pitched roof. Pitched ceilings can make a room seem smaller than it is, and the decreased headroom can lead to a darker and less welcoming space. It’s no wonder that fitting roof windows is a go-to solution in this situation. This is intended as a guide only. It should give you an idea of what to expect when fitting a window like this. Always check the detailed instructions that come with your window before and during the job itself. The first thing you need to do is find the perfect position for your roof window. It’s so important to get this right, so take your time. Once you know the exact size of your window, it might help to make a template out of paper that you can stick on the rafters. This will help you visualise the finished arrangement. This will feel like the most significant piece of work. You need to create a hole in your roof, and that’s no small thing! Once you’ve measured out where your window will go, you should start to cut the felt underneath the tiles. You should remember that the hole will need to be big enough to fit the full frame and flashing. We would recommend having a leeway of around 50-60mm as a guide for how much larger on each side the opening needs to be in comparison to the complete size of the window. 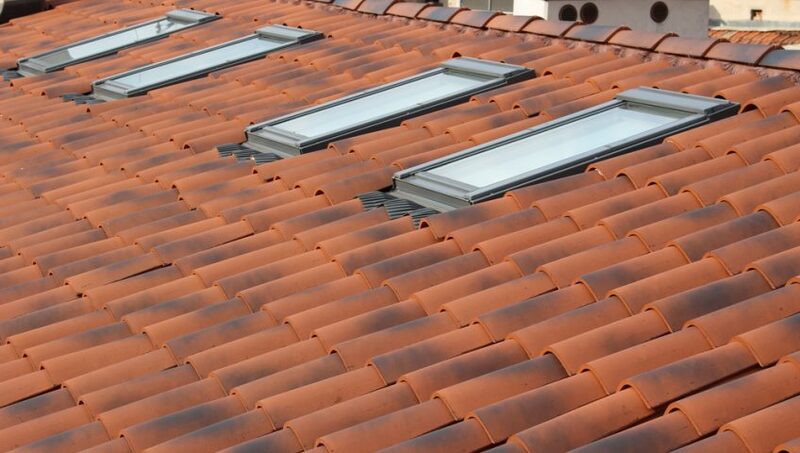 Once the felt is cut, you can start removing the tiles from the roof, from the inside. Just in case a tile should fall, make sure the space outside and directly below the section of roof you are cutting out is cordoned off and clear. Start from the centre, pulling the roof tiles inwards. Once you have removed the first tile, this process should be quite straightforward. Using your saw, you should cut the battens — it’s likely you’ll also need to cut at least one rafter, unless it is a very small window. Cutting the timber will make the opening large enough to fit your window. Be careful to measure the overall height of the window so that you cut the rafters at the correct position. Make sure you cut at exactly 90 degrees, using your square or angle measurer to help you, as otherwise your window will not fit properly. Once you have an opening large enough to fit your frame, and you are happy that the dimensions match, you can position the frame in the opening. You should remove the sash or opening section of the window before doing this. There is no need to lift the glass into place at this point. Your window will likely have four brackets, one at each corner. These will need to be drilled and screwed into the sides of the opening that you have just made. Before affixing the window frame, make sure it is sitting square. Once it is in place, it’s hard work to adjust it significantly. You can now stand in the frame of the window and attach the flashing elements to the outside of the frame. You will likely have detailed instructions on weatherproofing your window, so make sure you follow them exactly to ensure the window frame is watertight. It can also be a fiddly job making sure the rubber elements slot into the edges of the frame. You can then fit some of the roof tiles you previously removed around the edges of the flashing. You will probably need to cut some of these down to size. If you do, use safety goggles and gloves. Use an angle grinder for a precise cut and always measure carefully. Re-Attach the Sash and Admire Your Work! Now all that should be left to do is re-attach the glass section of the window — the sash — and stand back and feel the change in energy and light in your room! Dakea Better is a contemporary, centre-pivot roof window with all of the benefits of a Velux product. With superb energy efficiency and a solid construction, this type of roof window brings light as well as safety to any home. The above guide can be followed when fitting this kind of window, but remember that every window has its own set of instructions that should be followed to the letter. If there are extra steps that must be taken, take them! There are a number of different solutions for bringing light into the home, each with their own characteristics and benefits. It is worth thinking about the range of options available to you before committing to one idea. Another option particularly for flat roofs is an aluminium roof lantern. Roof lanterns give the feel of a pitched roof, but in glazed form — see it as bridging the gap between a conservatory and a Velux window. 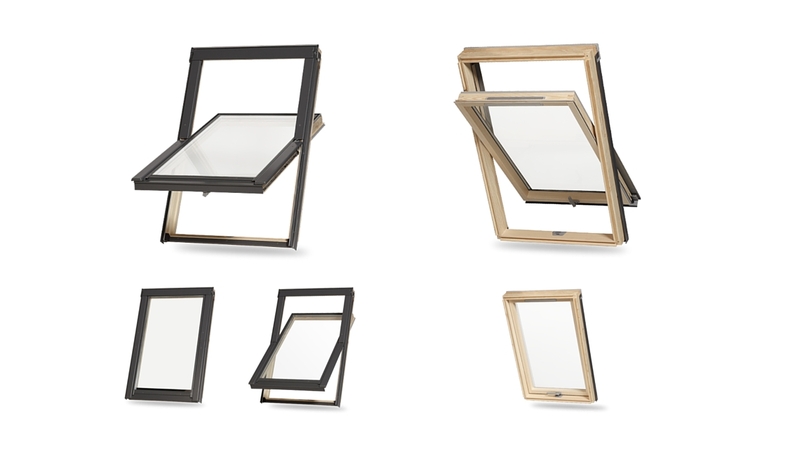 One roof lantern that is particularly popular is the Korniche Aluminium Roof Lantern. It is remarkably easy to install for such a large component. It’s delivered as a kit and comes with an easy-to-follow installation guide. As it is manufactured to a high level of precision, the Korniche requires few tools and less time. You need a cordless screwdriver to fasten all the fixings on this particular roof lantern. We supply a torx driver bit so that you have no non-standard fastenings to worry about, meaning the installation process couldn’t be simpler. Velux windows are just one way of getting more light into a room. 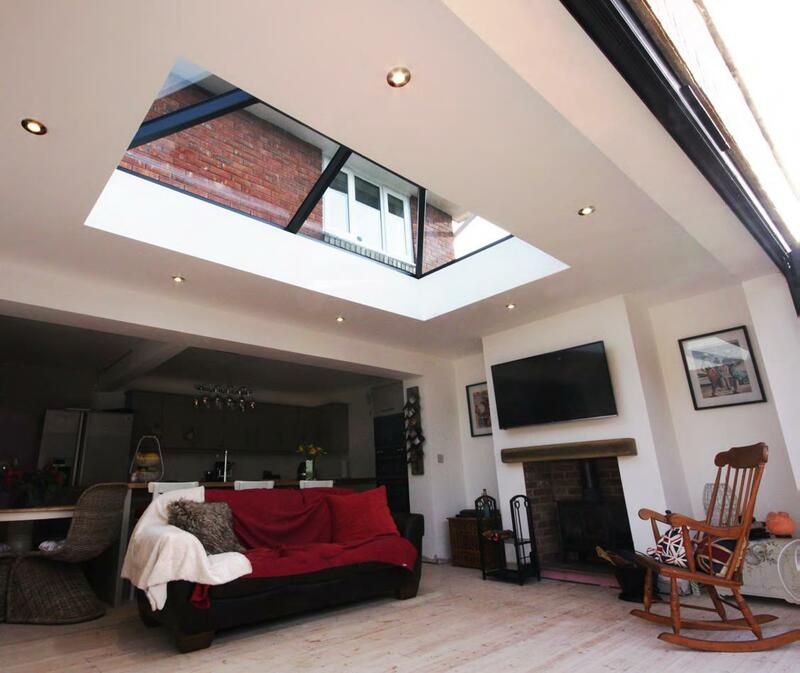 With pitched roofs in the loft, Velux or Dakea windows are a great solution, but for extensions at the back of a house, it can be hugely rewarding to add a roof lantern for added natural light without sacrificing energy efficiency or installation time. Request a free quote for your exact needs, or get in touch to talk to us about your ideas for adding extra light into your home. We have a wide range of products and the experience of fitting all kinds of windows to properties.